I really enjoyed giving a course on running the school library at the National Centre for Language and Literacy yesterday. The discussions were fascinating, all the more so as two of the attendees came from an international school in Luxembourg (I was particularly impressed that the head came), and two more from a special school. 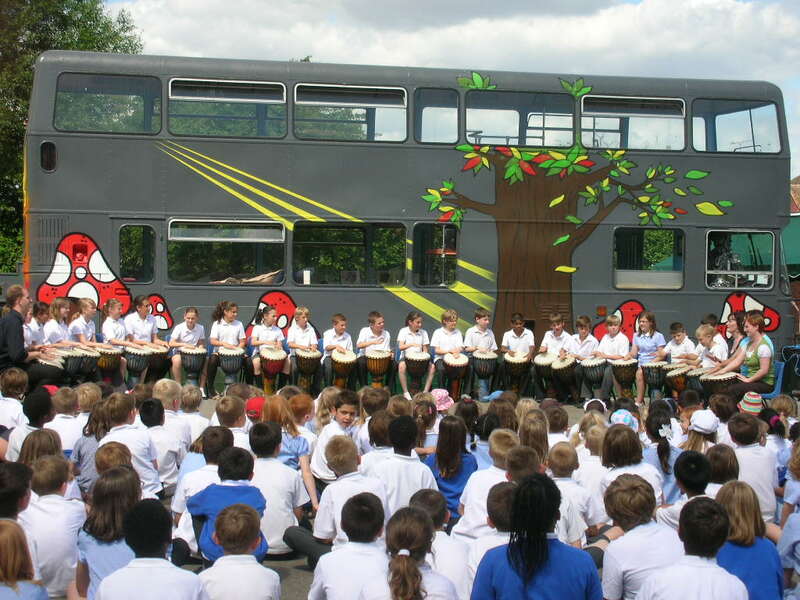 Everyone shared a passion for reading, a conviction about the vital role of the library, and a commitment to making theirs as welcoming and effective as it possibly could be. Loads of great ideas were explored for supporting reading and learning in the library. There were very stimulating debates about library resources and how to exploit them, about ways to raise the library’s profile within the school, and about the library environment. This is one of the many photos I showed. 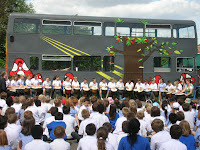 I took it at the launch of the wonderful story bus at The Wroxham School, a fabulous primary school in Hertfordshire. On a personal note, it was extremely interesting to be filmed. NCLL members will be able to see edited footage of the last session of the course on the Centre website shortly. Yesterday was the first time I had been to the Centre since it moved to new premises. The showroom is a really useful resource. If you are interested, you can find information about my school library courses here, and here are details about my reading courses.